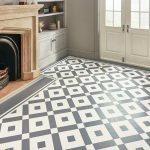 The new Karndean Heritage Collection is designed to give the opulent look of classic geometric tiles. 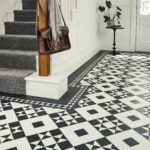 From striking monochrome designs to beautifully blended traditional patterns, the collection reflects both the classic elegance of historic homes and the boldness of contemporary trends. 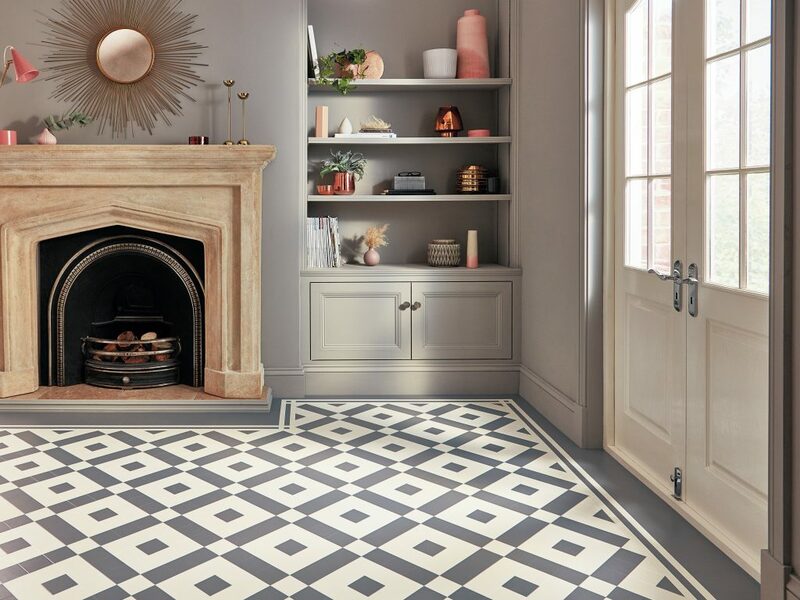 Ideal for recreating the original character of elegant period interiors or for a contemporary statement look, the new collection features a tasteful mix of shades that can be used to create a totally individual look. 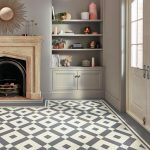 Perfect for busy rooms where highly durable flooring is required, Karndean’s Heritage Collection reinvents historical style with all the benefits of luxury vinyl tiles, offering a practical choice for an on-trend, modern floor. 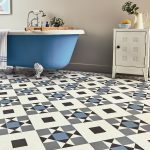 The versatility of the new Heritage Collection is amply demonstrated with 18 pre-assembled colour combinations in four tile patterns– Clifton, Lansdown, Montpellier and Mayfair. 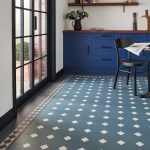 Presenting ten exclusive new colours, from timeless terracotta, crimson and gold to contemporary dove grey, taupe and baby blue, alongside two Opus designs Luna and Nero, the Heritage Collection features square, triangular and octagonal tiles, available in all 12 shades, which can be mixed and matched in any combination to create a truly individual floor. 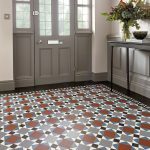 The Heritage Collection has been designed to enable home decorators to create a bespoke statement floor with any combination of colours, or to be combined with full-sized Karndean wood planks or stone tiles to create a focal point in any room. 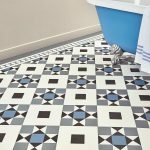 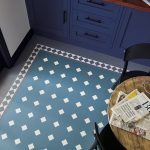 Like the original Victorian tiles, Karndean’s new Heritage Collection is hard-wearing and waterproof but, unlike the original floors that required regular waxing and buffing, is easy to maintain and will resist spills and stains.